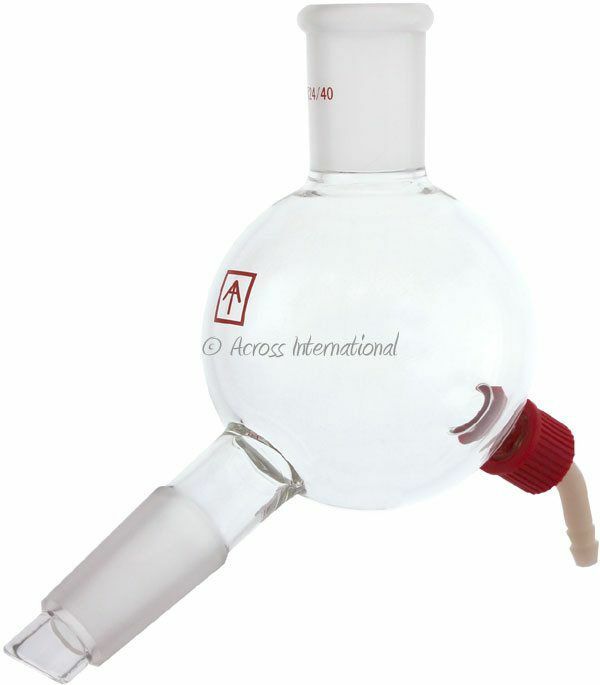 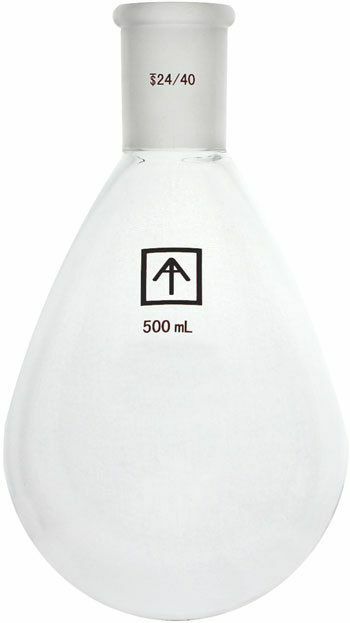 Ai 24/40 standard taper joint, heavy wall 500mL oval-shaped, round bottom flask. 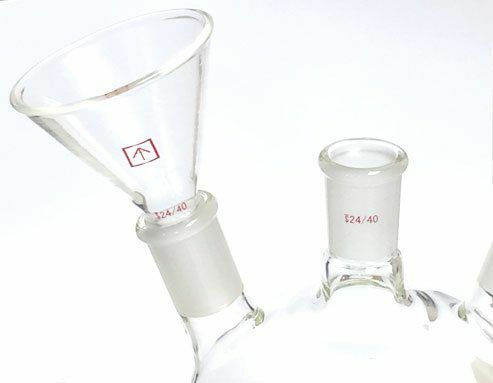 Ai 24/40 standard taper joint glass funnel. 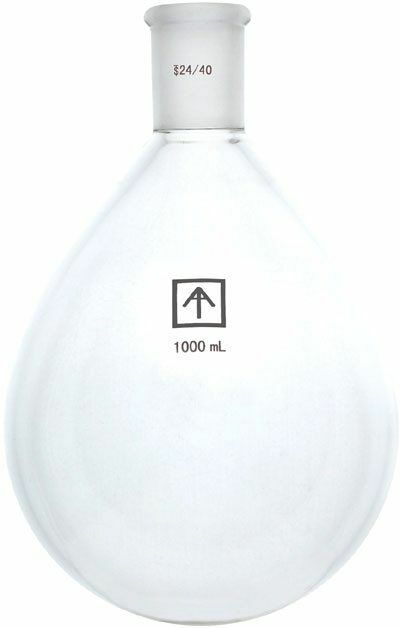 Ai 24/40 penny-head glass stopcock.